famous ?Pickleball Rocks? brand of apparel at their softball and pickleball equipment store. Per All About Pickleball president, Rodney Grubbs, ?”With pickleball growing at an astronomical rate, it has become apparent that we cannot get our shirts and hats everywhere ourselves. This agreement allows Pickleball Headquarters to be the exclusive seller of the “Pickleball Rocks” apparel in The Villages. 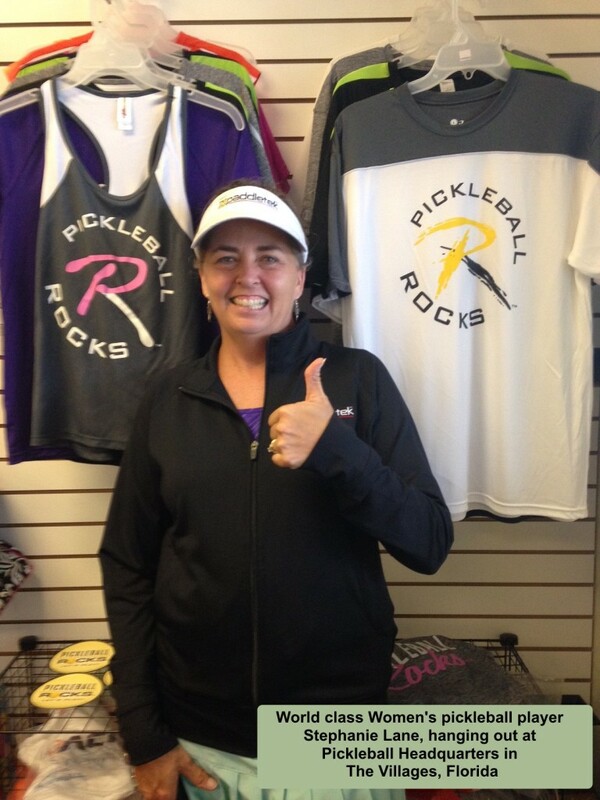 They will be able to display and sell Pickleball Rocks apparel at tournaments, street fairs and in their popular Softballs R Game store. People just seem to be crazy about wearing the popular ?Pickleball Rocks? saying on their clothes, and we’re excited that the players in The Villages will now be able to see, touch and feel our apparel before buying. Everyone wins.